“I was born again in ’73. I was converted – or changed about, or turned around, which is what converted means – to be turned about. And I felt so good, so perfect, so uplifted, so forgiven. So clean.” Those words belong to Reverend Al Green, from an inspiring and spiritually uplifting documentary, the Gospel According To Al Green, by acclaimed filmmaker Robert Mugge. Green, best known for his R&B hits like “Let’s Stay Together,” I’m Still in Love With You,” “Love and Happiness,” “Take Me To The River,” “I’m Still In Love With You,” and others, is captured live in concert in Washington DC, his Full Gospel Tabernacle church in Memphis, and a recording studio in Memphis. Interspersed with interviews about his conversion, his religious reawakening after performing a concert at Disneyland, an interview with the legendary producer Willie Mitchell, it’s an intimate look at how Green’s gospel roots and his secular music collided, the spiritual life he pursued when he became born again, and the experience that led to him putting his massive pop music career on hold in exchange for singing praises to the Lord. Greene was brought up singing gospel with his brothers, touring with them as the Greene Brothers. When he was 16 he formed his first R&B group, Al Greene and The Creation, and began a solo career that led him to opening for the legendary producer Willie Mitchell’s band. Mitchell signed Green to a contract to record for Hi Records in Memphis, which led to some incredible collaborations with Mitchell as Green’s occasional songwriting partner and producer at Royal Studios in Memphis. In the documentary, Green talks about the various signs that led to his conversion, and in 1980 he released his first gospel album, The Lord Will Make A Way. In the late 80s Green returned to secular music for a brief period of time, yet continues to preach at his church in Memphis, as the public’s love and interest in his secular work continues to thrive. Gospel According To Al Green was released in 1984 and recently was reissued on DVD and Blue-Ray. The documentary also includes an interview with legendary producer Willie Mitchell. 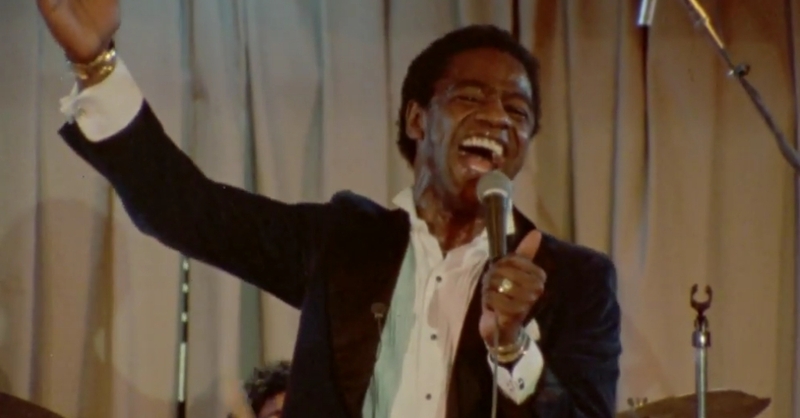 Below, watch a handful of powerful performances of Green from the Gospel According To Al Green. Special thanks to Robert Mugge for the use of the clips.